A four car smash, spillage and incident with a bus has caused traffic jams on Monday morning. Several accidents have caused chaos on the roads during rush hour. A four-car crash, reported by Traffic Scotland at 7.50am on Monday, led to the closure of a lane on the M77 northbound where it meets the M8 towards Glasgow city centre. The outside lane, between J1 Dumbreck Road and Plantation, was reopened by 8.15am however traffic has been held back to J4 Crookfur Road. 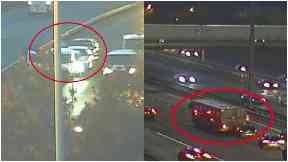 Earlier on, at around 7.38am, a car hit the central reservation on the M80 southbound between J8 M876 and J7 Haggs. 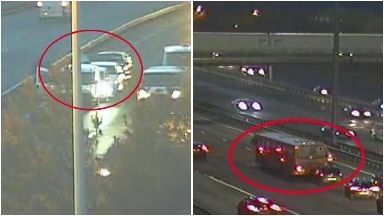 At 7.26am, there was another accident involving a bus on the M8 eastbound at J22 Plantation. The vehicle was moved to the hard shoulder by 7.45am, however traffic was tailed back to J25a Braehead in Glasgow. At 7.20am, a lane on the M8 at J30 Erskine Bridge was also closed due to an accident and spillage. It was cleared by 7.53am. Two separate accidents on the A720 Edinburgh Bypass also blocked the Baberton westbound off-slip at 8.57am. Traffic Scotland warned drivers to be aware of the congestion and expect delays.